SLAYER RELEASE BOX SET FOR ‘INTERNATIONAL SLAYER DAY’! GET A FIRST GLIMPSE! Metal veterans Slayer have released a new box set on specially designed 6.66″ vinyl today in celebration of International Slayer Day! 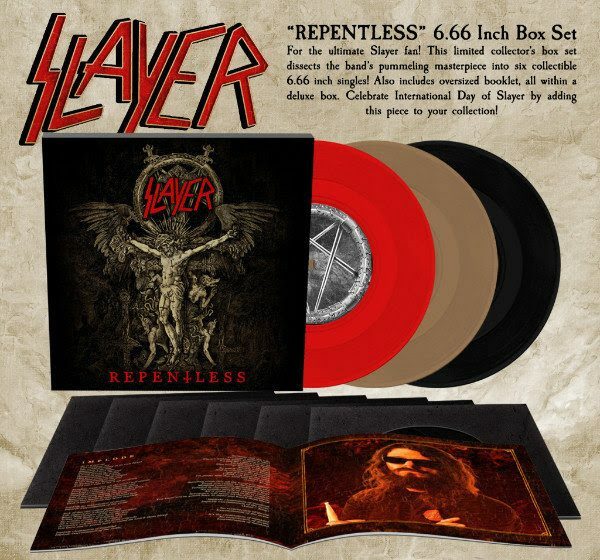 The six record package, on specially-made 6.66″ vinyl created at The Vinyl Factory using a bespoke trimming unit, includes all 12 tracks from the band’s final studio album Repentless, originally released in 2015. The Repentless box set is available in limited red and gold variants as well as standard black vinyl. Order via this link. Check out the video below of the unboxing of the vinyl 6.66″ ‘Repentless‘ re-issue. Slayer recently announced their farewell jaunt across UK and Europe for the last time later this year. 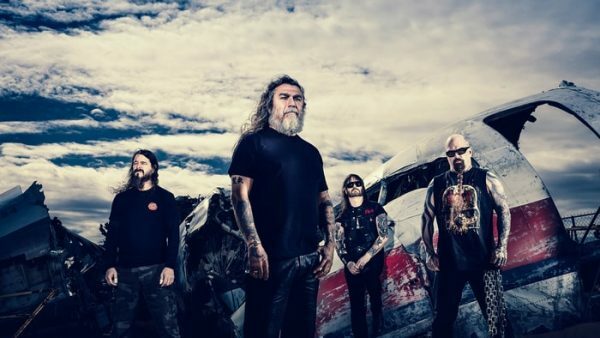 Closing the final chapter on their 37-year career with a world tour, Tom Araya, Kerry King, Paul Bostaph and Gary Holt will kick off the UK dates with a show at Dublin’s 3 Arena on November 1st. They’ll then play six dates across the UK before heading to mainland Europe for more shows. 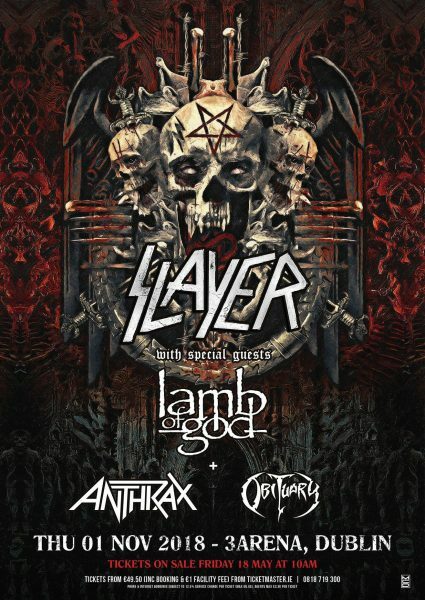 Slayer will be joined by LAMB OF GOD, ANTHRAX and OBITUARY. Tickets are on sale now via Ticketmaster and Sound Cellar for the Dublin show on November 1st. All other dates can be purchased here.